Tajiks are worrying that an Uzbek plan to build a new railway bypassing Tajikistan will further isolate their country, increasing hardship in the region’s poorest state. The new railway would link Tashkent to Uzbekistan’s densely populated Ferghana Valley regions via the 2,200-meter Kamchik Pass. Once completed, Uzbek authorities could abandon use of a Soviet-era, 110-kilometer-long spur that cuts across Tajikistan's northern Sughd Province. Uzbekistan is already shipping freight to and from the Ferghana Valley by road, only using the international rail route for moving oil and petroleum products. Uzbekistan reportedly pays about $25 million a year in transit fees to Tajikistan – so the new rail link would deal Dushanbe a considerable economic blow. Quoting Uzbekistan Railways Chief Engineer Khusniddin Khosilov, the privately owned podrobno.uz news website reported last April that the company had already drafted a proposal for a $1.9-billion electric railway line stretching 129 kilometers from Angren, in the Tashkent Region, to Pop in the Namangan Region. According to regional media reports, a feasibility study is expected to be completed this year, and construction – paid for by Uzbekistan Railways, the Uzbek government and loans from “international financial institutions" – is expected to commence next year. Reports have not specified which “international financial institutions” might be involved. Neither Uzbekistan Railways nor the Asian Development Bank (which has financed a number of transport projects in Uzbekistan) responded to EurasiaNet.org's repeated requests for comment. 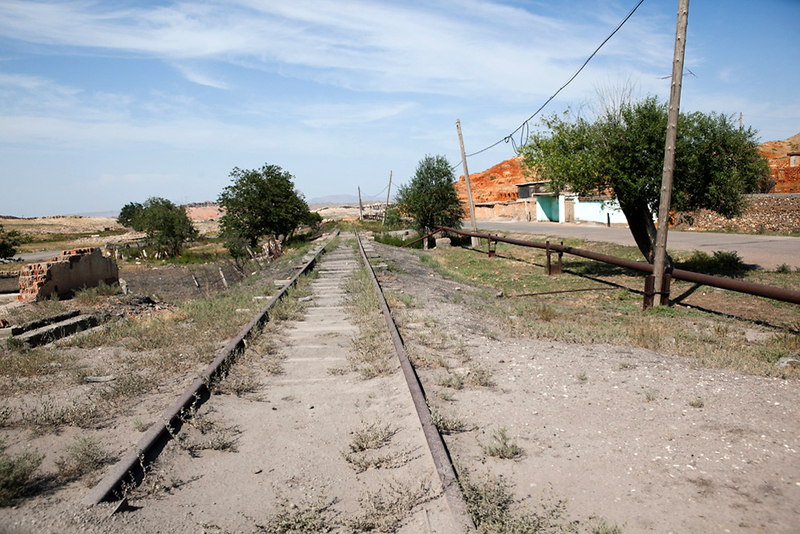 The project is not the first time Uzbekistan has taken action to untangle its rail lines. Since gaining independence in 1991, Uzbekistan has built over 1,000 kilometers of new track to circumvent lines that passed through Turkmenistan. Construction of the Kamchik Pass project is expected to take five years. The line's economic importance would be boosted if it becomes part of a long-stalled Chinese project to construct a railway linking Kashgar in western China’s Xinjiang Province with the eastern Uzbek city of Andijan via Kyrgyzstan, turning Uzbekistan into a railway hub linking China and Afghanistan, and possibly Iran. Some Tajik media outlets have expressed concern about China's decision to proceed with a rail link via Uzbekistan and not Tajikistan: they fear this could have severe economic consequences for Dushanbe. Tajikistan and Uzbekistan have the most acrimonious bilateral relationship in Central Asia. The chief source of tension is Tajikistan’s plans to build the world’s largest hydropower dam, Rogun. Designed by Soviet engineers, and stalled by the Soviet breakup in 1991, the dam would help Tajikistan become energy independent, Dushanbe says. Downstream, Tashkent vigorously opposes the Rogun project, insisting it would hurt its agricultural sector by limiting water flows. Thanks to Rogun, and visible antipathy between presidents Islam Karimov and Imomali Rahmon, the two countries are hardly on speaking terms. Last year, Karimov warned, without naming Tajikistan, that such dam projects could lead to a regional war. Central Asia observers believe that Uzbekistan's bid to acquire transport independence may further strain bilateral relations. “The line will give Uzbekistan the economic independence from Tajikistan it craves, and will allow it to increase its leverage over its neighbor," Alice Mummery, a Central Asia analyst at the London-based Economist Intelligence Unit (EIU), told EurasiaNet.org. "Although it hasn't commented publicly, Tajikistan is likely highly concerned that the new rail line will leave it even more exposed to the whims of Uzbekistan." Rashid Gani Abdullo, a Dushanbe-based political analyst, said Uzbekistan’s desire to reduce its rail dependence on Tajikistan is understandable because “the less you depend, the less vulnerable you become.” But that leaves Tajikistan in a bind: Dushanbe “should be concerned with solving the issue of diversifying its access to transnational railway networks,” Abdullo told EurasiaNet.org. Transport independence will likely prompt Tashkent to bring additional pressure to bear on Dushanbe in ongoing water and energy disputes, suggested Mummery. “The risk of freight blockades against Tajikistan will increase if Dushanbe insists on pursuing its plans to build the Rogun Dam,” she said. Farkhod Tolipov, director of the Knowledge Caravan think-tank in Tashkent, believes the proposed line will not have a big impact on bilateral relations. He sees the railroad as purely a transport issue. “We should after all separate the transport component of this problem from the political one. A direct rail link between Tashkent and Ferghana is indeed absent and this is a serious problem for Uzbekistan,” Tolipov told EurasiaNet.org. “This problem has persisted for a long time." Tolipov also hinted that it may be premature to worry about the rail line’s potential impact. “I do not think construction will be carried out any time soon,” he said. Murat Sadykov is the pseudonym for a journalist specializing in Central Asian affairs.